So on a Snowy Sunday afternoon, I tried out this Perdue Oven Ready Whole Seasoned Roaster which I got on sale at my local Kroger grocery store!! I grew up eating Perdue Chicken and sometimes when you are not feel well I do used prepped food meals to reduce the amount of time in the kitchen so I can recover my strength!! 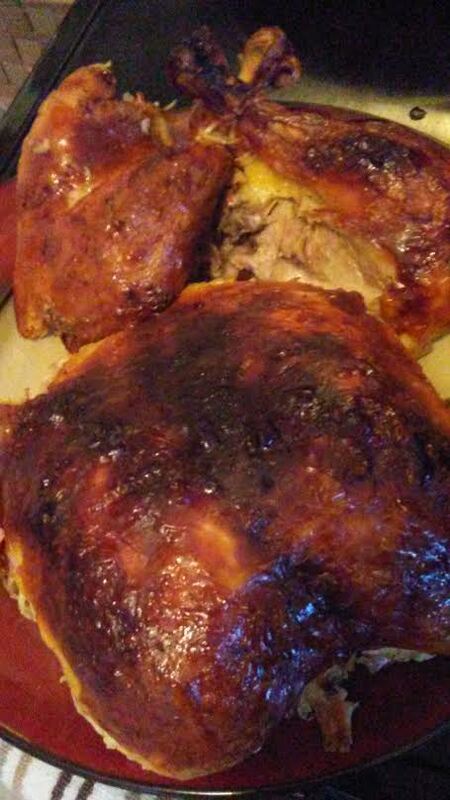 Two hours later, I enjoyed a juicy, flavorful roast chicken for my Sunday dinner that was season just right!! 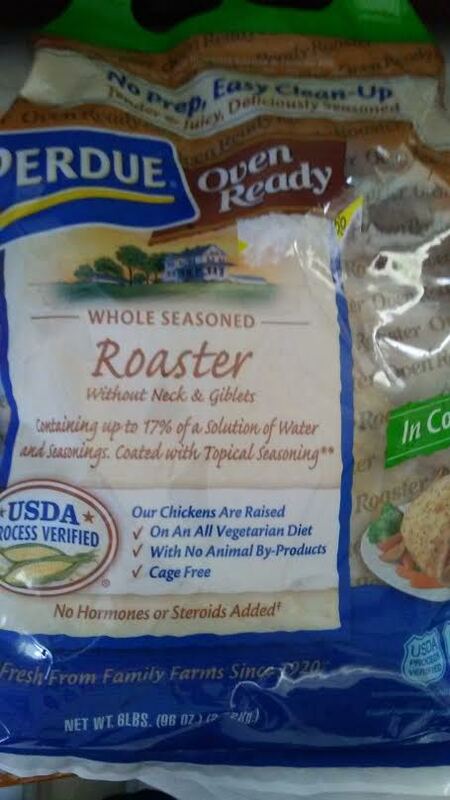 I enjoyed cooking but when I need extra help in the kitchen, I can count on this chicken product again in the future!! This chicken was so well marinade that it was sliding off the bone after being fully cooked!! Sounds like a good idea. I may have used one in the past, but I can't remember for sure. I pretty much always buy Perdue roasters when I occasionally buy a whole chicken, though if I'm doing a whole chicken I like to stuff it and do my own seasoning that goes with the stuffing. However, this would be a good time saver. I like their chicken breast singles though I usually get the plain ones.